​In a Man vs. Society conflict-driven narrative, the protagonist may feel like the whole world is out to get him/her or at the very least stand in the way of dreams or goals. Society may take many shapes in this conflict, but it usually assumes the shape of a character that represents both the spoken and unspoken rules within which the members of society are expected to adhere to. 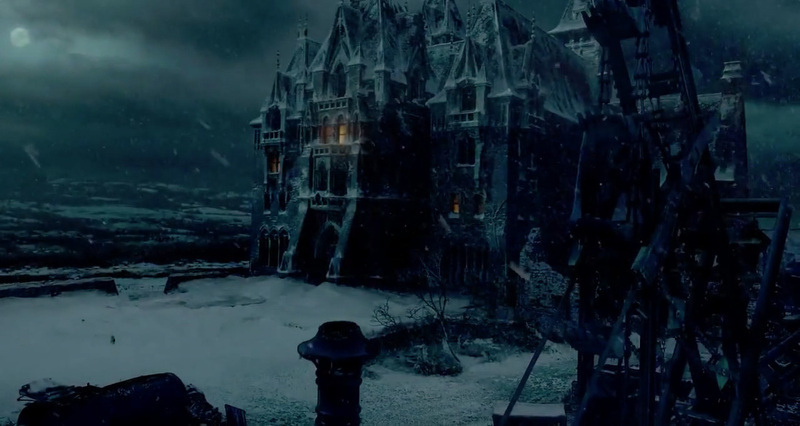 In the Guillermo del Toro film Crimson Peak that figure is Edith’s father and the Sharpe’s mother. Nothing subtle here...move a long! 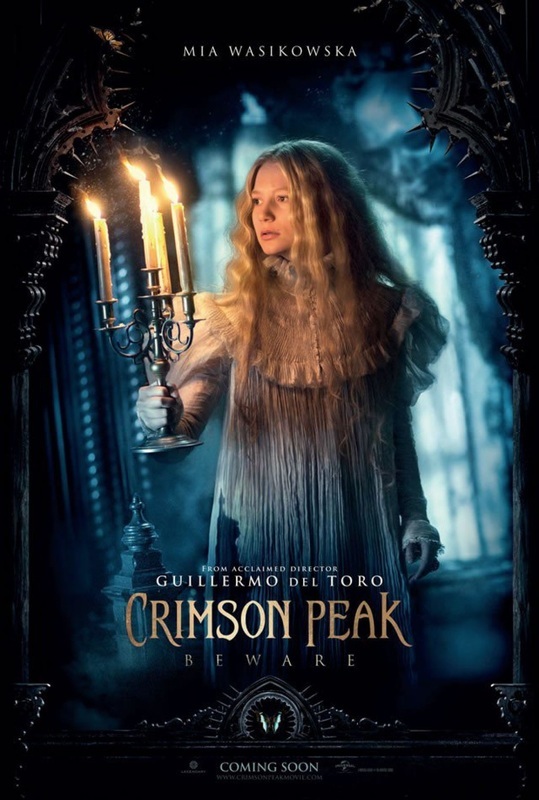 ​The thing about this film is we are given to believe it’s a ghost story. It’s not. There are plenty of ghosts and they are viscerally realized, but they are actually harbingers of information for the protagonist and sources of mystery of past actions haunting the present circumstances of our protagonist, Edith. They’re creepy by nature of being supernatural; however, it’s clearly the humans who are the monsters of this story. ​Our protagonist is Edith Cushing, a would-be writer of ghost stories since she was born with the ability to see ghosts…the first one, her own mother who warns her as a child to “Beware of Crimson Peak.” I’m still not sure how her mother came to this prophetic information about a place in another country far into her daughter’s future…or why she would use its nickname as a warning instead of its real name (plot holes like this abound in this thriller). Edith meets the very British Thomas Sharpe come to ask her father for money to invest in his invention that digs the red clay from his clay mines for commercial reasons. Edith’s Man vs. Society ride begins with her authorship. She makes the very real claim for the time period that her manuscript would be much more positively received if the publishers thought she were a man. One such publisher even discourages her from writing thrillers and encourages her to write romances. Part of Edith’s story is overcoming these social roles laid out for woman. 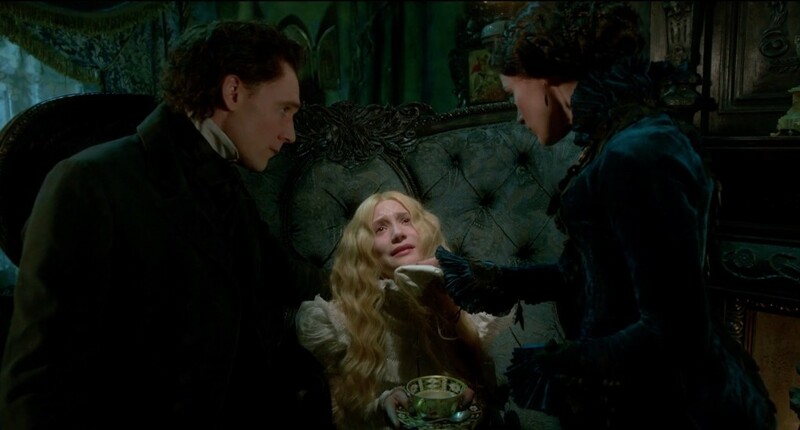 She does this by showing up unexpectedly with the outsider, Thomas Sharpe, at a social gathering where the mistress of the house assures her in an epic double entendre that she will “put her in her place,” topically meaning a place setting for dinner, symbolically her position in social order. This is what eventually motivates her to marry someone she hasn’t known for long after tragedy strikes her family and head off for parts unknown. ​Thomas’s story also leads him to his own Man vs. Society narrative. While in America, he’s the outsider. Edith’s father, played by Jim Beaver (Bobby from the TV show Supernatural), has little else in his mind but the protection of his only child, Edith. 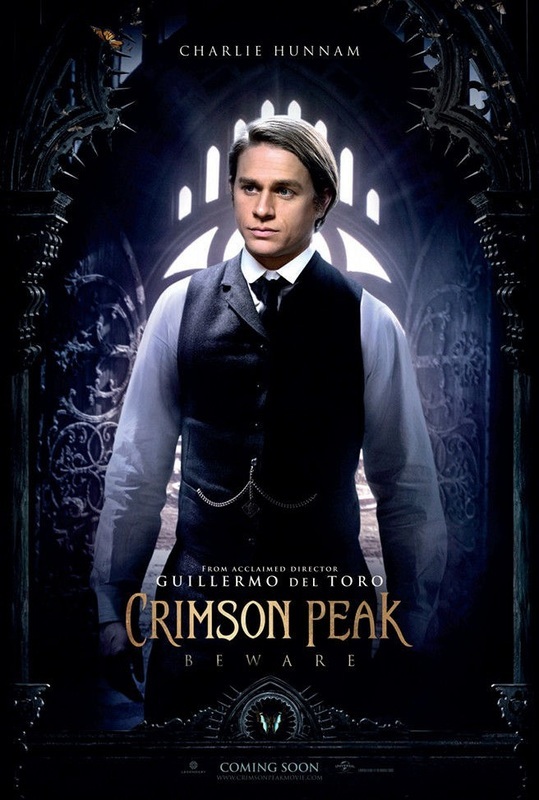 What begins as a very typical external conflict of social manners vs. physical attraction, we’re given all the usual tropes that del Toro plays with some virtuosity if not much originality. We know watching that Edith will go with Thomas. We know there’s something going on between Thomas and his sister Lucille. We know we’re probably not going to like it when we find out because we know in a Man vs. Society narrative...the rules of society must be reinforced for there to be closure for the audience. The bad guys must be punished and the good must be rewarded. If nothing else, every book written by Charles Dickens has programmed us to expect this from our stories. ​Society eventually prevails in Edith’s rescue by a man of science, a Doctor, who persists in following her to England, walking through snow (a conquering of the natural world, which then empowers him to do battle with the Supernatural world). It’s a credit to del Toro that he has this man pursue Edith out of friendship and not a reward of female love or adoration. She in fact (small spoiler alert!) ends up being his savior. 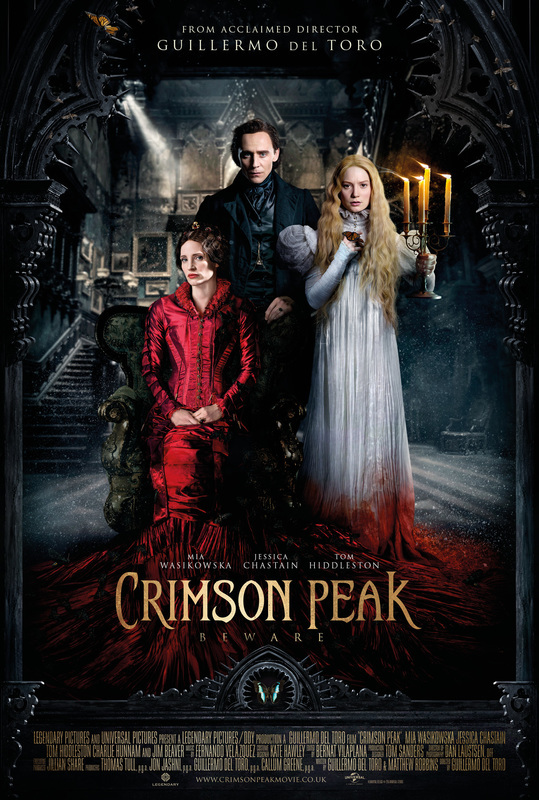 ​If this is a love story, that too is a Man vs. Society conflict as we come to see the monster that love has created. This story goes against the rules of hospitality. It presents us with one of society’s most intolerable taboos. It also hits us over the head with butterfly symbolism of transformation. Color image of Black=bad, white=good and red=blood & passion & danger. Nothing new here. There’s a scene where Edith is sitting in a chair and it looks like she has butterfly wings. It’s not very subtle, especially after Lucille has informed her that they only have black moths at their home, and the black moths eat the butterflies. Foreshadowing is one thing, but this is a little heavy handed for me. But if society plays on these symbols, incorporating them into our collective consciousness…then their placement throughout the film is tolerable. She's the butterfly...they're the black moths...get it???? 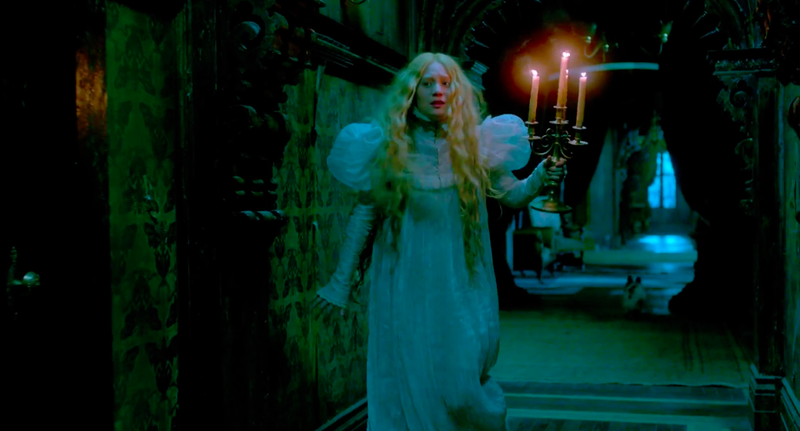 All in all, even with its warts, Crimson Peak is a visually stunning thriller and nothing more. 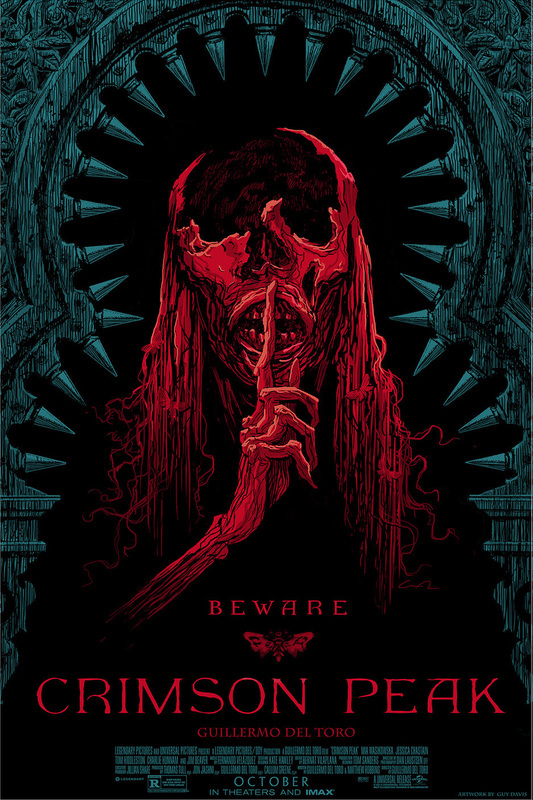 I fear it will get critical acclaim, yet be trashed by a younger audience with the attention span of a gnat who merely define scary as gruesome, thrilling as frenetic, and horror as torture. This film has all those things in subtlety, something that is lost on a modern audience I’m afraid. When the individual finds him/herself at odds with the social rules around them.